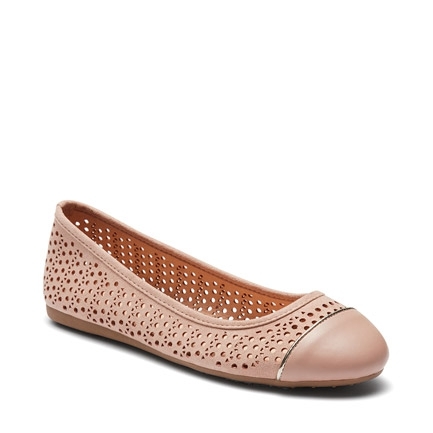 These delightful ballet flats are a modern style staple. 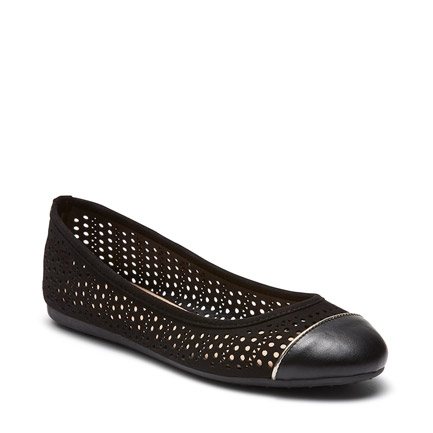 The flat slip-on style has a geometric cut-work microsuede around the foot. It's capped with a leather-look contrast toe and silver metallic trim. Synthetic Upper, Lining and Outsole.